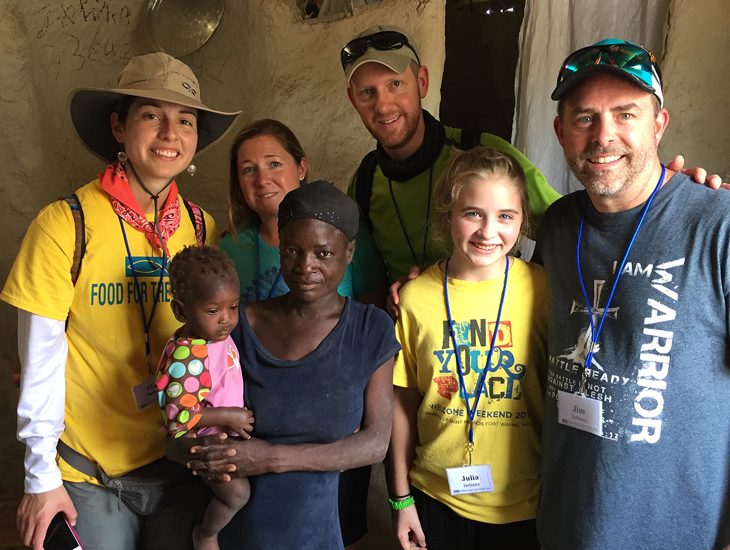 Performance Services along with family and friends visited Haiti last month with Samaritan’s Feet on a trip organized by Food For the Poor. The purpose of the trip was viewing the progress of communities developed with donations and help in prior years, inaugurating a new community development, and visiting several sites with people in need including a community which has not received aid. 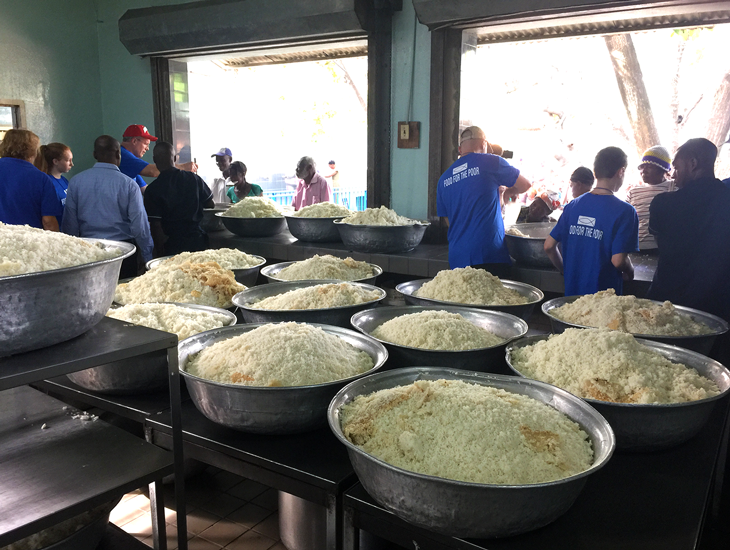 The PSI Mission Trip group arrived in Haiti on Monday, March 13 and gathered for a reflection that night with Samaritan’s Feet and Food For the Poor in preparation for the coming days. 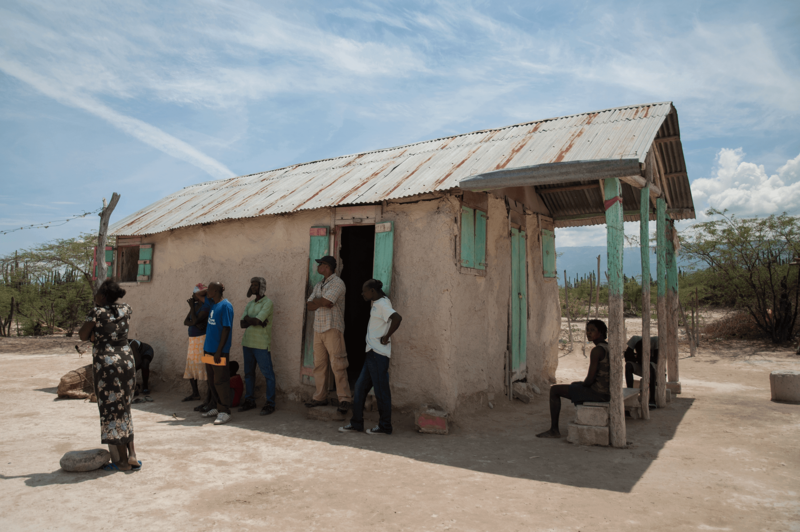 On Tuesday, March 14, the group traveled to Vialet where the work of building proper homes for the community commenced in 2012 with donations from PSI and the help of Food For the Poor. 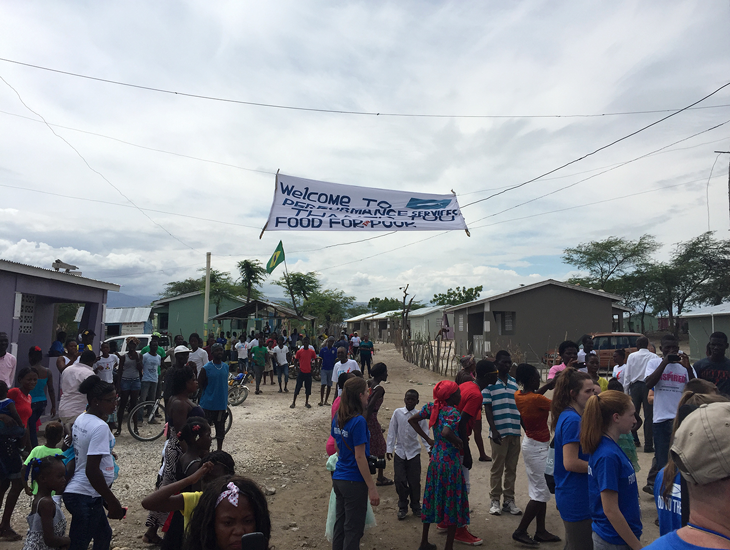 The people of the community had prepared a welcome brigade which joyfully walked the group to the community center as music was played on trumpets and the community danced and celebrated. The community leader gave a welcome speech for PSI and Food For the Poor in the community center and a little girl named Francisca sang a song for the visitors. The band played music and the community danced the entire day. Samaritan’s Feet set up a room to wash the children’s feet and give them hundreds of new shoes at the Performance Services Ecole Communautaire, the local school. PSI family and friends participated in the foot-washing after Manny Ohonme from Samaritan’s Feet shared his inspirational story with the entire community. The day closed with more dancing and a feast of coconuts prepared by the community. On Wednesday, March 15, the PSI Mission Trip group traveled to LaFosse where work on building homes for the community commenced after PSI’s previous trip in 2015, and the 2017 visit marked the inauguration of the LaFosse Community Development. On the way to LaFosse, PSI employee Jim Christie was excited to be reunited with Grandma Plaisir who ran in front of the bus as the group left the community on the previous trip. On that day two years before he and friend Kevin Kiser promised to buy her a home to keep her out of the mud and the rain. Before entering LaFosse, Jim and Kevin had their emotional reunion with Grandma Plaisir. She told Jim she was happy to finally have a proper place where her family could hold a funeral and bury her. 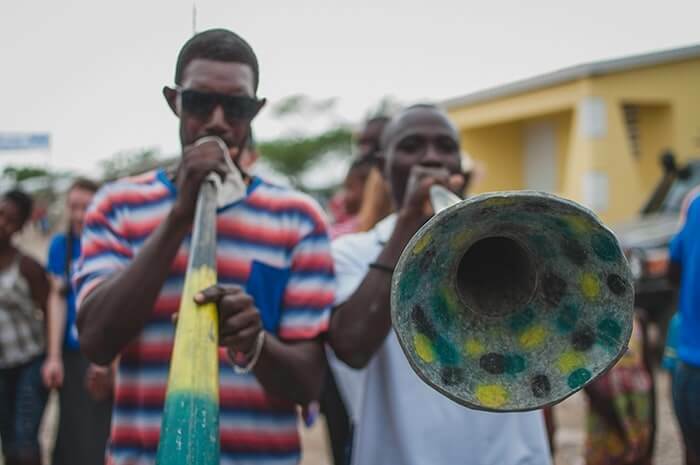 After the visit with Grandma Plaisir, the group continued into LaFosse where again a large crowd welcomed the group with music and dancing, and this time there was an entire band with trumpets, horns, and drums. A large welcome banner was hung for PSI and Food For the Poor, and the community center was outfitted with a ribbon and PSI’s Owner and CEO Tim Thoman was invited to say a few words and cut the ribbon to inaugurate the building. 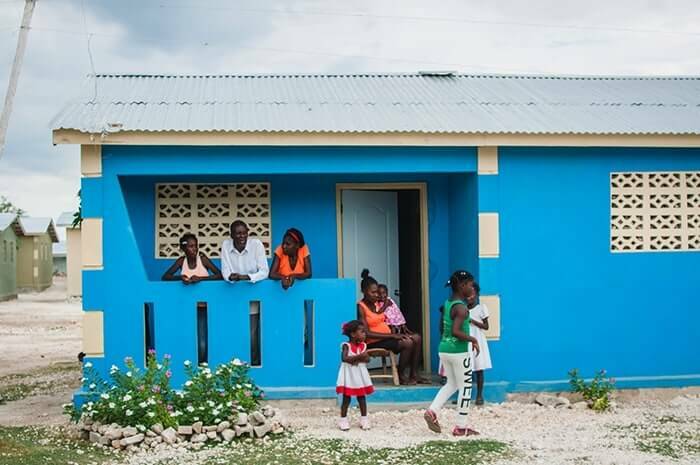 LaFosse community leader Madame Ketly Merra set up a program in the community center celebrating PSI and friends who donated to build more than 70 double-unit homes with sanitation facilities, a water cistern, and a solar panel. The children sang a beautiful welcome song and community beneficiaries presented their gesture of thanks. One gentleman pulled out the keys to his home singing about how he would never sleep in the mud again, and members of the community sang along holding their own house keys in the air. 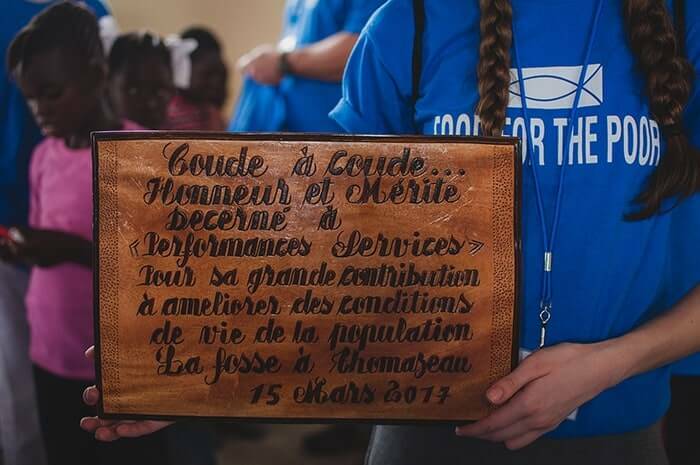 At the end of the program, community leader Merra presented PSI Owner and CEO Tim Thoman with a plaque from the LaFosse Community Development thanking PSI for their efforts to better the conditions of life in LaFosse. 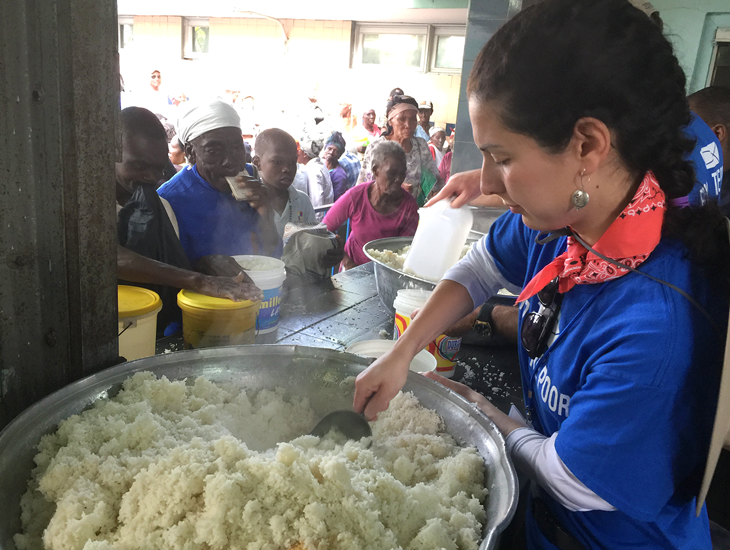 On Thursday, March 16, the group was unable to visit Ganthier because of civil unrest in Haiti, so Food For the Poor took the group to visit first their food kitchen, then an orphanage, then a community in need called Bas Vaudreuil the group had not visited, and finally an elderly community run by Korean Sisters and a Father called Kkottongnae by the late afternoon. Experiencing the food kitchen at Food For the Poor that morning was wonderful because all the workers in the kitchen worked with love and pride to feed thousands of people with food made from fresh ingredients. The group then traveled to the orphanage for a tour and some were especially impressed with a young 12-year-old boy named Donat who, gifted true to his name, was busy coloring a beautiful rabbit he drew as his peers watched Tom & Jerry. The group then took another bus ride through the rocky dirt roads to find Bas Vaudreuil. As the bus pulled in, the community stood curiously watching at the entrance. This time there was no celebration, the children without a school uniform were hardly clothed, and most people were covered with dirt. The group was taken to the school which was in need of replacement. The young teachers explained that their dreams were to see the children become engineers, lawyers, and doctors. The children welcomed the visitors with smiles, but when they were asked what they most wanted they explained that what they wanted most was water. The group then went to the community church for prayer, and though the community was still unsure what to think of the visitors, they sang with heart. The community eased when Kevin Kiser walked to the front and began singing a Christian song in French which everyone knew and sang together. The group then split into three smaller groups and visited the homes of various people in the community to learn more about their lives. Most lived in mud shacks held up by sticks which did not hold up in the rain. 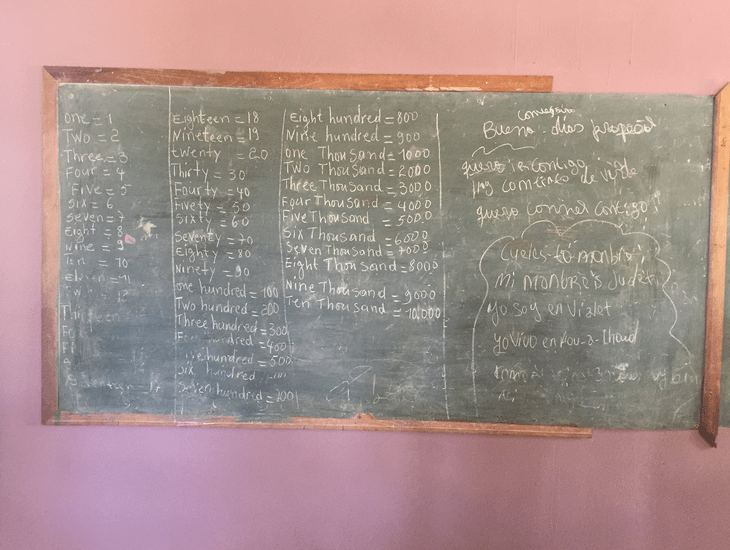 Before leaving, many gifts were given to the school and the people, but the group in the bus left Bas Vaudreuil knowing the immense amount of need in the community. The visit to the elderly community called Kkottongnae run by three Korean Sisters and a Father in the late afternoon was no less powerful. The Sisters cared for the most vulnerable, also taking in abandoned special needs children to live and be cared for among the community. Seeing the work done there was truly remarkable. Each night, the group held a reflection, and by the night of the last day, everyone was deeply moved beyond what they had imagined when they embarked on the trip. 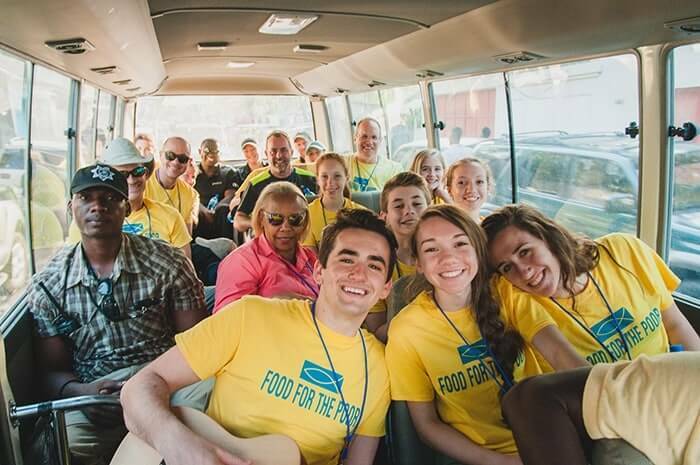 It was an amazing “Journey of Hope,” as Food For the Poor named it, for PSI, PSI family and friends, Samaritan’s Feet, and the wonderful individuals from Food for the Poor who helped make the trip a success. 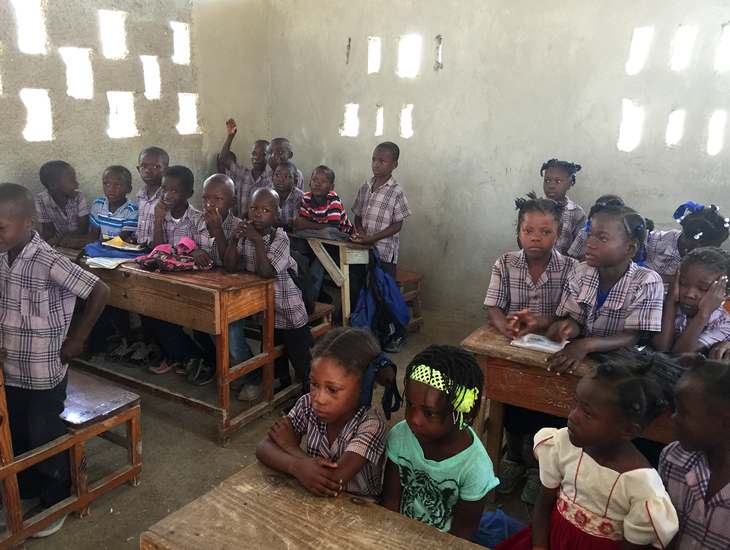 PSI Owner and CEO Tim Thoman set up a meeting with the PSI Mission Trip group in May to discuss the next steps after this last trip to Haiti in March 2017.